Thank you for your interest in volunteering! 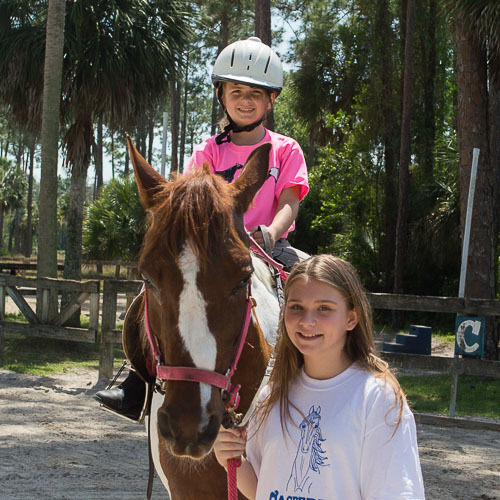 As we appreciate you wanting to volunteer with us, we reserve our volunteer opportunities to our Casperey students that take lessons here with us so they continue our motto of complete horsemanship training. 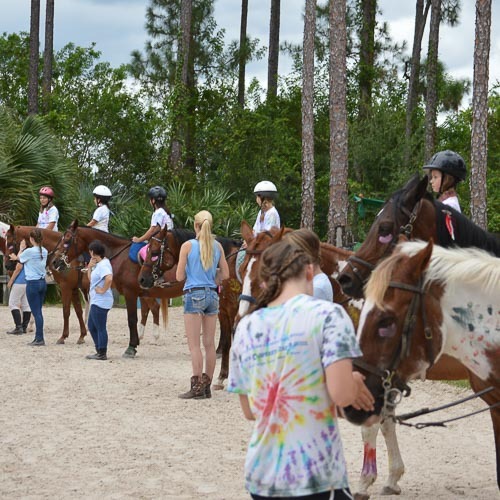 If you are a student, or learning about horses and taking lessons is something you would like to do here at Casperey Stables, continue reading on this page for Volunteering Opportunities! 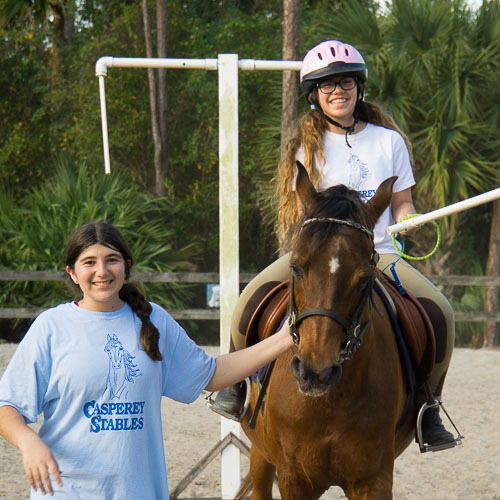 Casperey Stables offers an apprenticeship program for riders 13 and up. 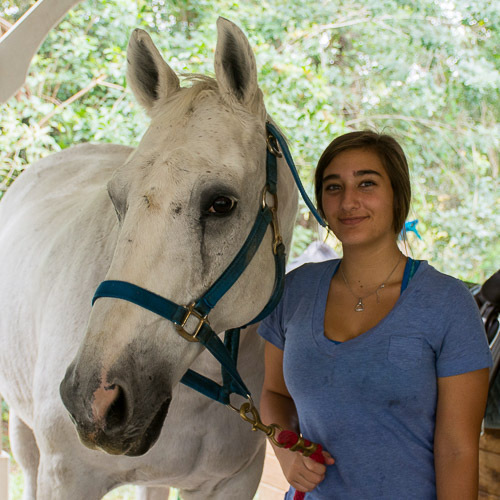 Our apprentices learn about and help with horse care, grooming and tacking, caring for the facility, and participate in group lessons according to the number of volunteer hours accumulated. Apprentices come to value the opportunity to learn and do more than in our regular lesson program. And remember those leadership skills and work ethic we mentioned earlier? Horses can be the best teachers of life skills! 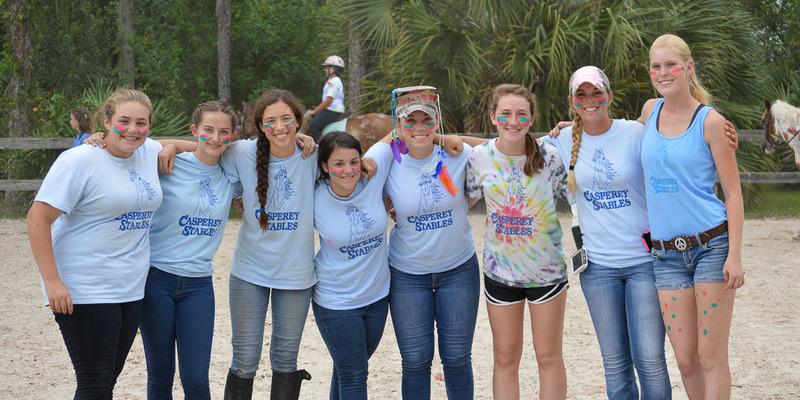 Counselors in Training (CITs) are volunteers that help out with camp. These wonderful kids spend time helping in the same ways as the apprentices during all of our camps. And their rewards include free lessons, lots of hotdogs and watermelon, and a Summer's End party with trail riding. 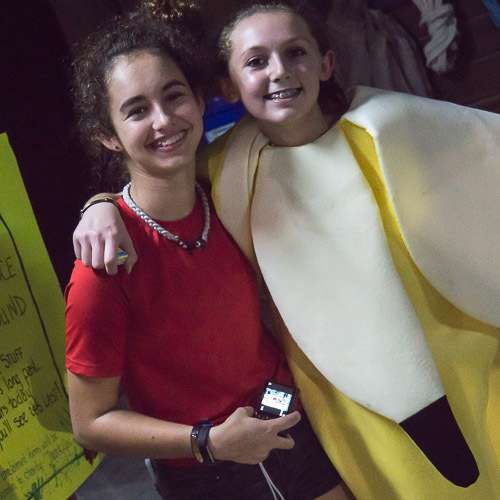 Volunteers are also welcome to help out with our special events like Open House, Fall Harvest Festival, etc. We can always use some extra help! Located in Loxahatchee, Florida and serving Wellington, West Palm Beach, Palm Beach County, Royal Palm Beach, Loxahatchee, Lake Worth, and Palm Beach Gardens areas.